Finally- products you can feel good about eating, and are good for you! 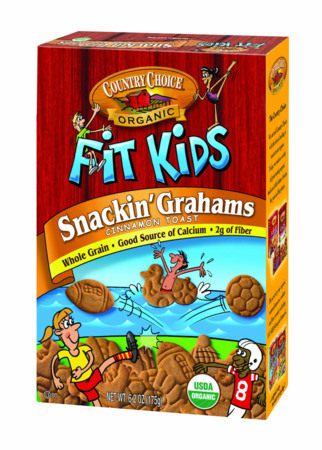 I was lucky enough to get to try something from the Fit Kids line- the Snackin’ Grahams in both chocolate and cinnamon toast flavors. 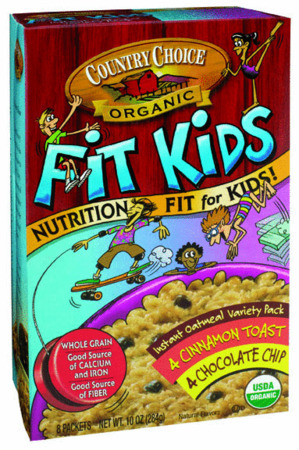 Their Fit Kids’ line is designed to provide nutritious and delicious foods to fuel kids who live active lifestyles. First off, the snackin’ grahams come in adorable shapes. They have roller skates, footballs, baseball mits, soccerballs (hey- are you feeling a bit biased here? What? No ballet slippers? 😉 ). Each one is actually a nice size, about the size of a quarter (aside from the roller-skate), and are actually pretty thick, too. 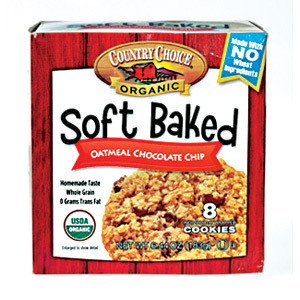 18 pieces is 110-120 calories, 2.5-3 grams of fat, 20-21 carbohydrates, 2 grams of fiber, and 2 grams of protein. Chocolate-Organic Wheat Four, Organic Sugar, Organic Whole Wheat Flour, Organic Cocoa Processed with Alkali, Organic Palm Oil, Organic Cane Syrup, Organic Oat Fiber, Organic High Oleic Sunflower Oil, Calcium Carbonate, Natural Flavors, Baking Soda, Sea Salt, Organic Vanilla Extract, Organic Malted Barley Extract, Soy Lecithin, Cream of Tartar. Cinnamon Toast-Organic Wheat Flour, Organic Sugar, Organic Whole Wheat Flour, Organic Palm Oil, Organic Cane Syrup, Organic Oat Fiber, Organic High Oleic Sunflower Oil, Organic Cinnamon, Calcium Carbonate, Organic Vanilla Extract, Sea Salt, Natural Flavors, Baking Soda, Soy Lecithin, Cream of Tartar.